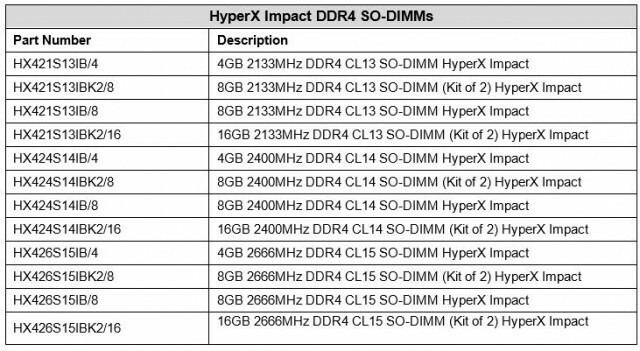 HyperX sent along their latest press release today, which announces new DDR3L and DDR4 SO-DIMM memory kits. 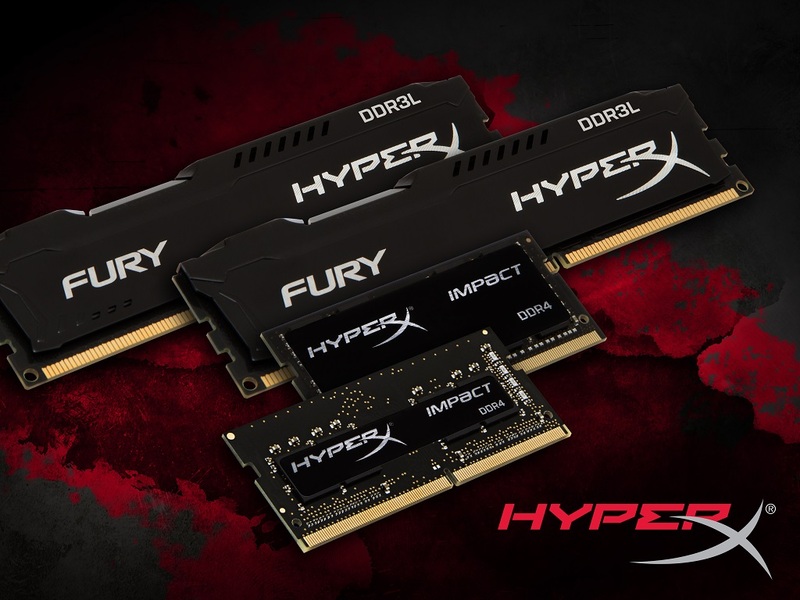 The new HyperX Fury DDR3L kits are offered in speeds of 1600 MHz and 1866 MHz with capacities ranging from 4 GB up to 16 GB. Single module or dual-channel kits are available. The HyperX Impact DDR4 SO-DIMMs are being offered in speeds up to 2666 MHz and capacities up to 16 GB. Kits of two, or single modules are available. Here is the press release we received. HyperX, a division of Kingston Technology Company, Inc., the independent world leader in memory products, today announced the addition of HyperX® FURY DDR3L high-performance, low-voltage DIMMs, as well as brand-new HyperX Impact DDR4 SO-DIMMs. HyperX FURY DDR3L runs at a low 1.35V, meaning less power consumption and less heat. It is available in 1600MHz and 1866MHz frequencies, and comes in 8GB or 16GB dual-channel kits of two as well as 4GB and 8GB modules featuring a stylish asymmetrical heatspreader in black with black PCB for a stand-out system. HyperX FURY DDR3L is fully Plug-and-Play (PnP) enabled for automatic overclocking out of the box and is perfect for entry-level gamers and enthusiasts who want a cost-efficient upgrade for the 6th Generation Intel® Core™ Processors (former codename Skylake-S) and 100 Series Chipset.